N’nyapule R.C. Madai has dedicated his career to improving the quality of life for people with disabilities in his home country of Tanzania. Now retired, he most recently served as the Assistant Commissioner for Social Welfare in Tanzania. He is widely recognized as a man who has fought to end the stigma and mistrust of people with disabilities through education and inclusive programs. Madai’s connection to the University of Minnesota dates back to 1983 when he started a 10-month Humphrey Fellowship at the then Humphrey Institute of Public Affairs. Bringing young and mid-career professionals to the United States, the program is designed to harness and nurture leadership development and professional collaborations with U.S. counterparts. Madai stands out as a shining alumnus of the program for both the scope and importance of his work. Following his return to Tanzania, Madai started Special Olympics Tanzania in 1986. This program, modeled after its parent organization Special Olympics International (the world’s largest sports organization for people with intellectual disabilities), was adapted to serve the unique needs of the people of Tanzania and respond to challenges specific to their context. 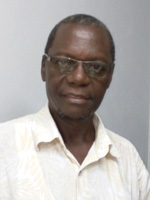 Throughout his career in the Ministry of Social Welfare, Madai has done extensive research and advocacy work for inclusive education in Tanzania and greater East Africa. His work has paved the way for all children with intellectual disabilities attending school (8,900 students in 320 schools) to participate in the Special Olympics. By helping to raise awareness, Madai has helped combat the stigma against people with intellectual disabilities in rural Tanzania. Today, parents no longer hide their children or feel ashamed. In naming N’nyapule R.C. Madai as a recipient of the Distinguished Leadership Award for Internationals, the selection committee acknowledges his dedication and drive to improve the visibility and acceptance of children with disabilities in Tanzania and across Eastern Africa.